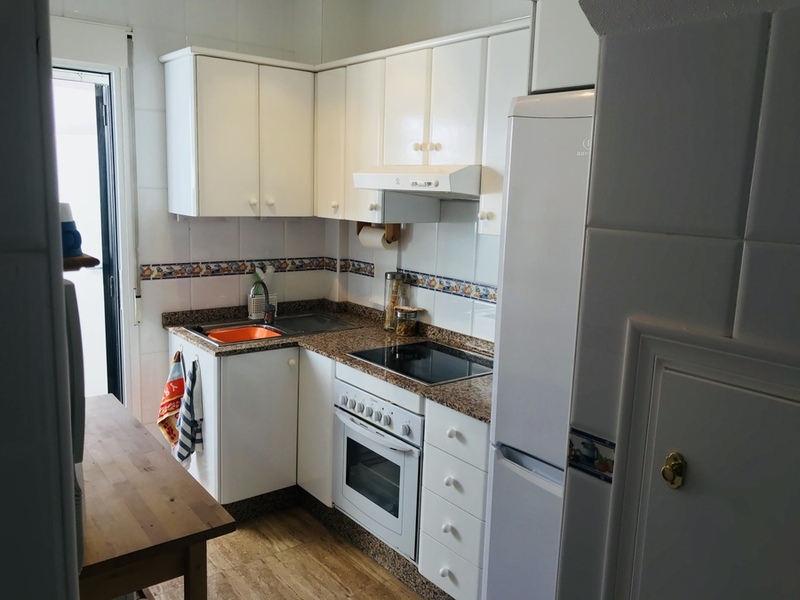 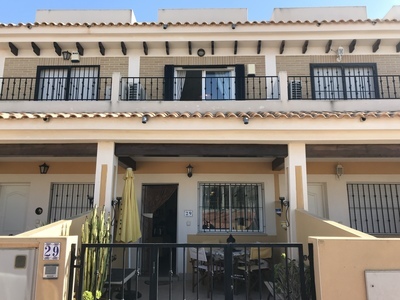 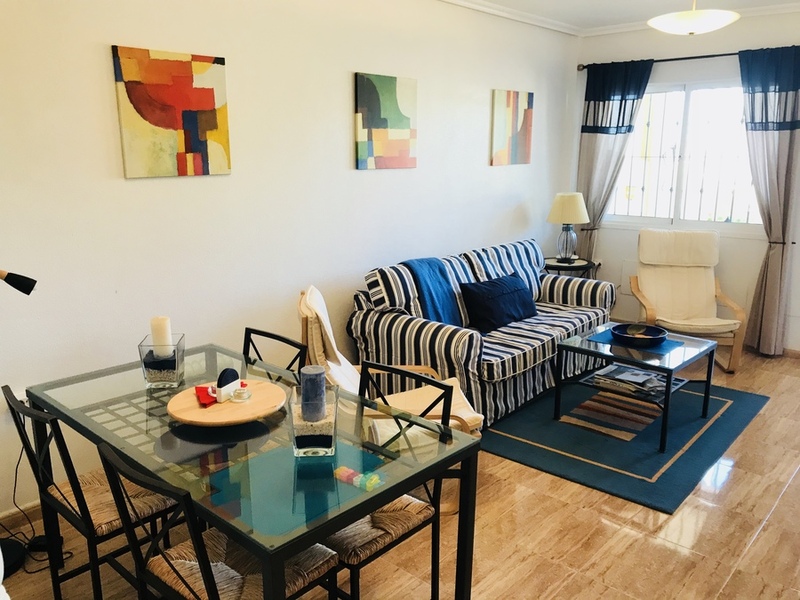 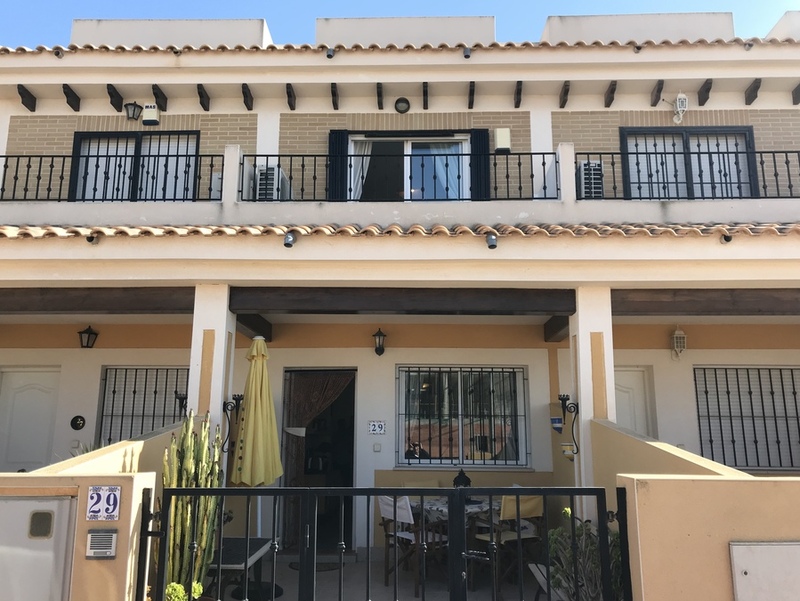 We are pleased to bring to the market this well-presented townhouse in the village of Dolores De Pacheco, Close to Roda. The property is being offered for sale fully furnished and comes with a host of features to include. 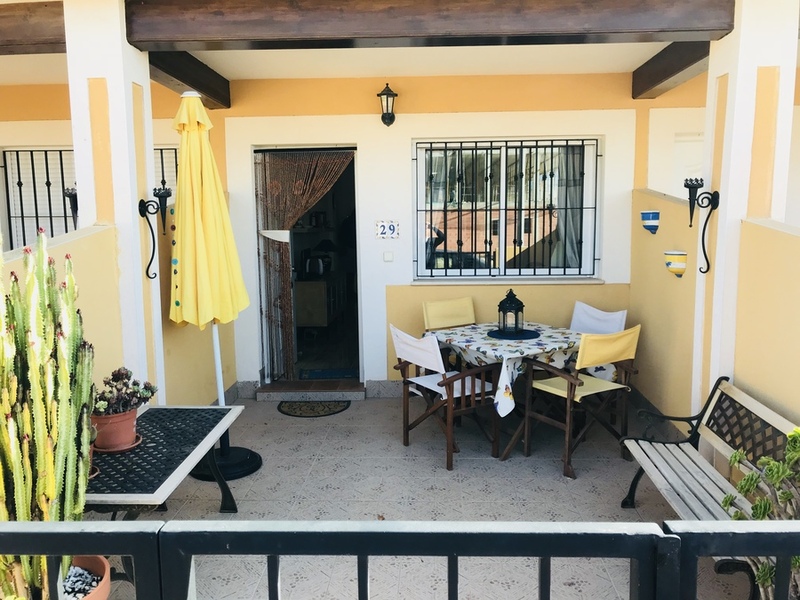 A large front terrace area, with access to the main floor living space, Here you will find the open plan living and dining area, with Air conditioning. 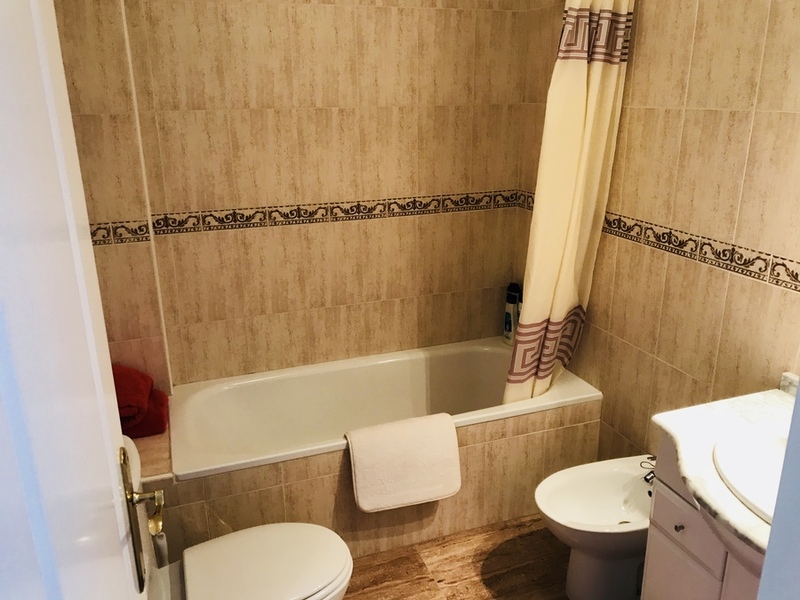 There is also a ground floor bathroom, complete with shower, w.c, and basin. From here you move through to the well-appointed kitchen, with a selection of appliances, and the rear courtyard/utility area. 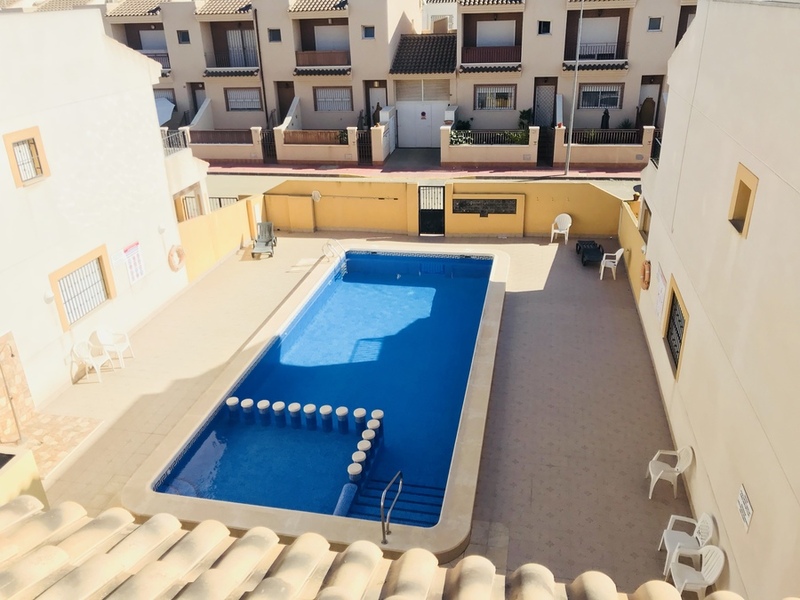 From the rear courtyard, you have direct access to the communal swimming pool. 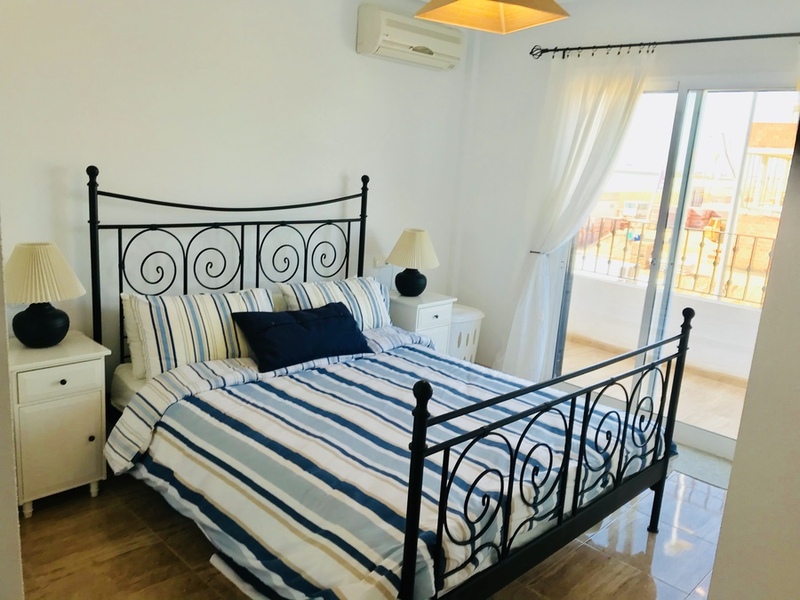 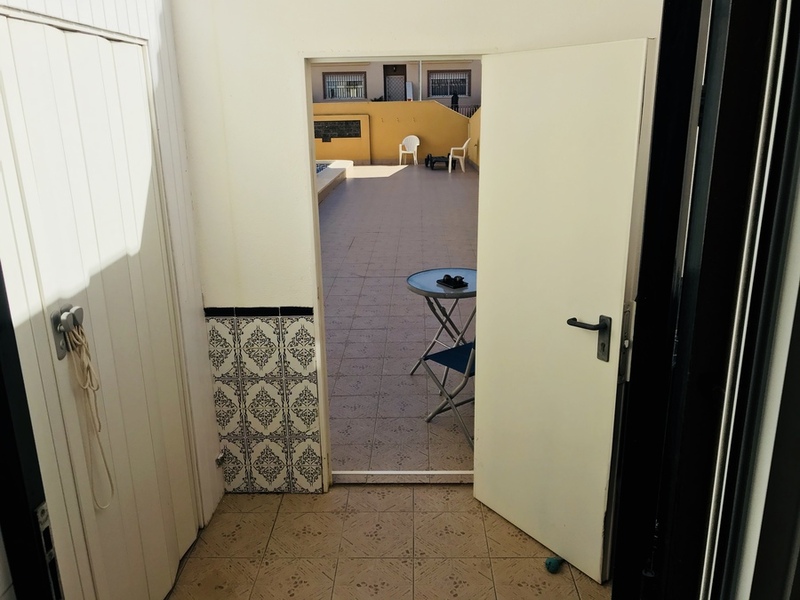 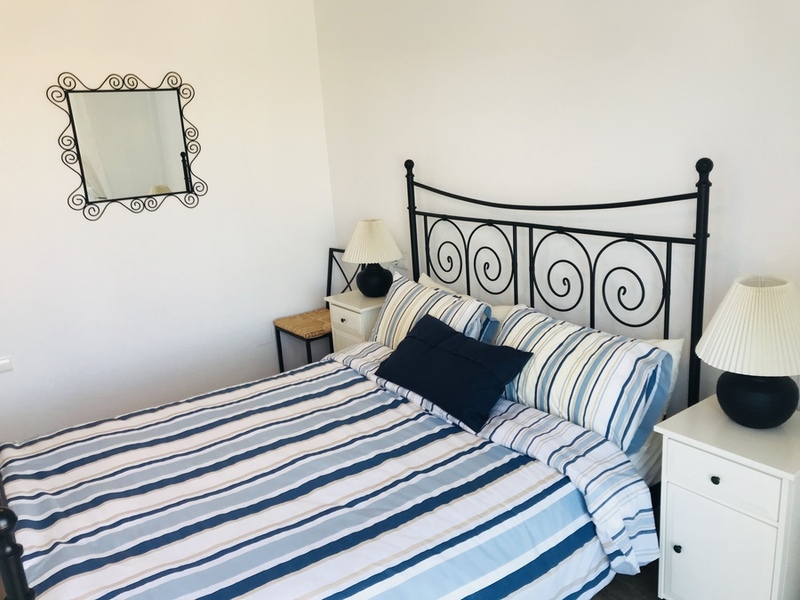 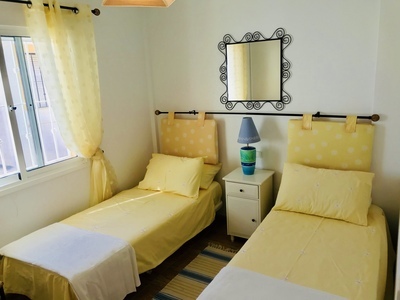 To the first floor, there are 2 large double bedrooms both with fitted wardrobes, and the Master having the added benefit of Air conditioning and its own terrace. 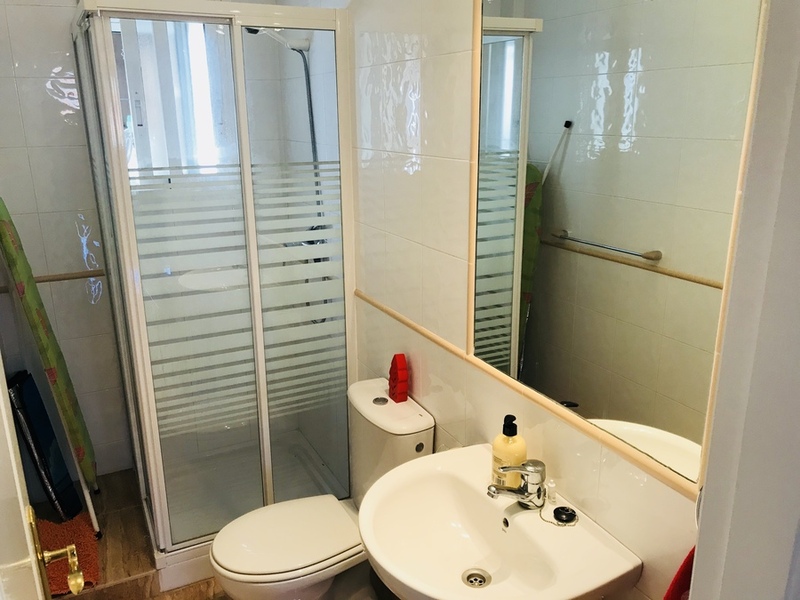 There is also a modern bathroom on this floor, with bath, bidet, w.c & basin, and access to the top floor is the rooftop solarium, with views over the countryside. Back outside there is a great sized communal swimming pool to enjoy, and a separate children&'s area. 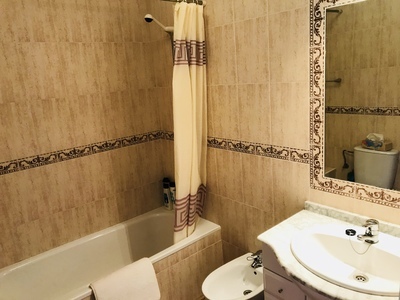 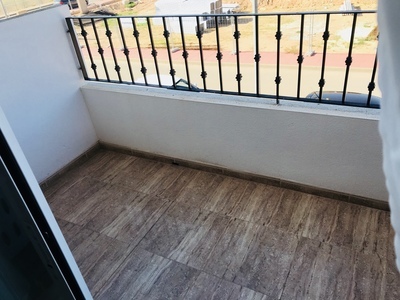 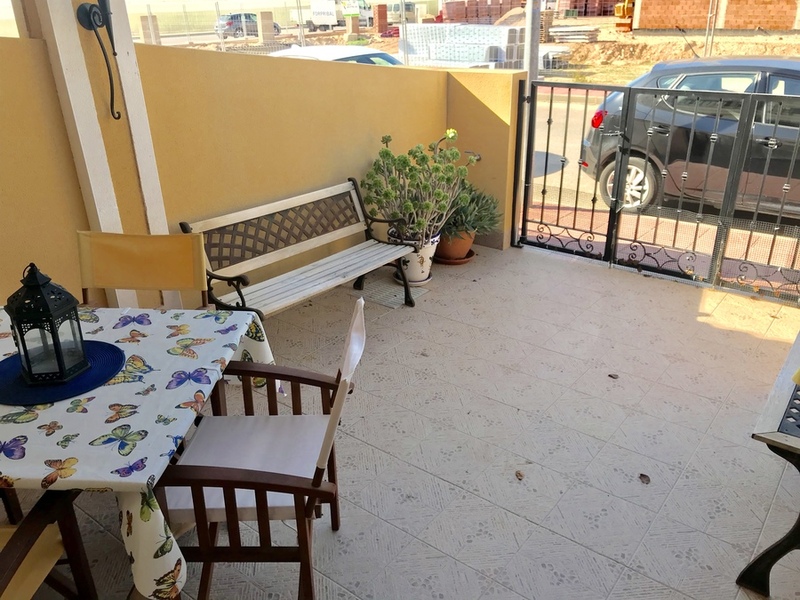 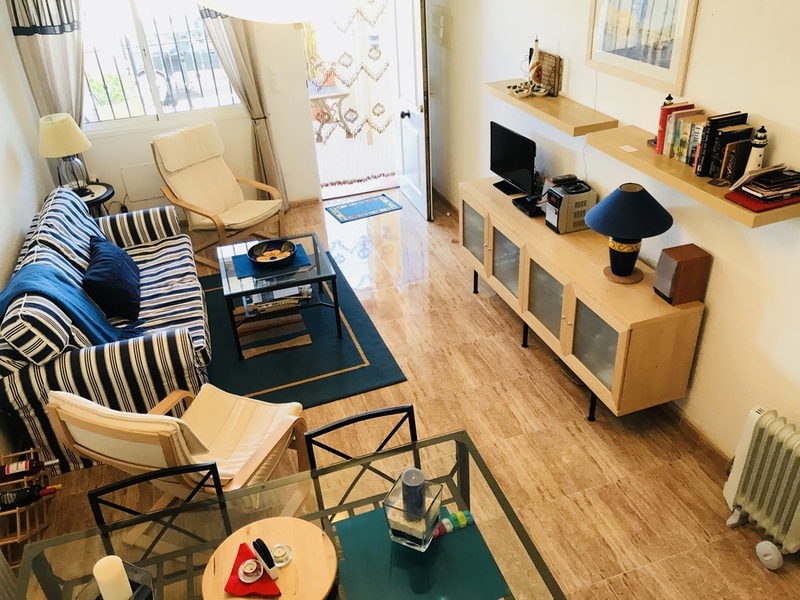 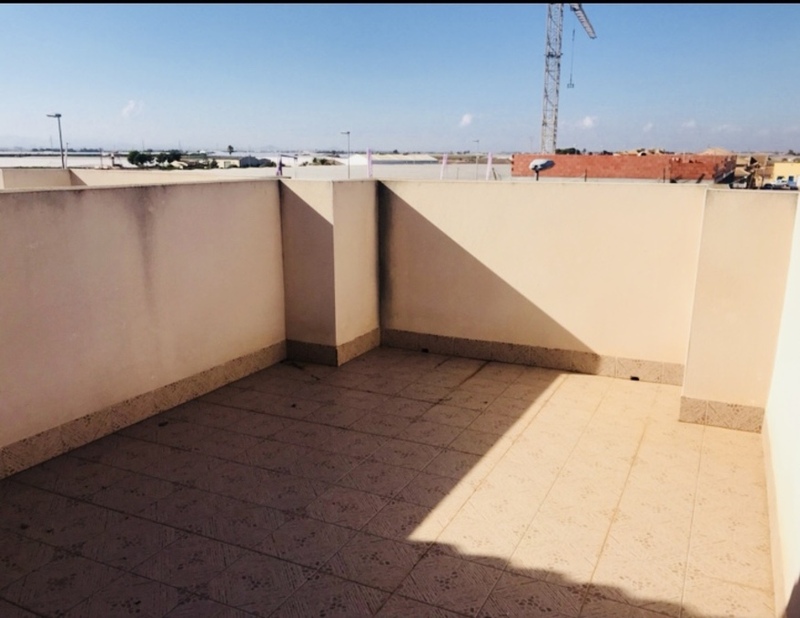 This property sits in a great location with the village supermarket, bars, cafes, shops, pharmacy, weekly market, Tabac, and bank all just a short 3 min walk from the property. 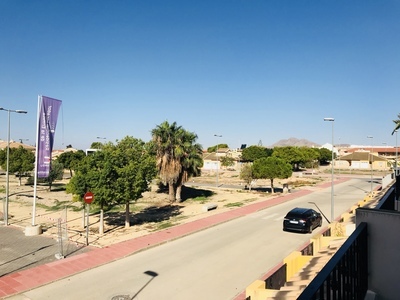 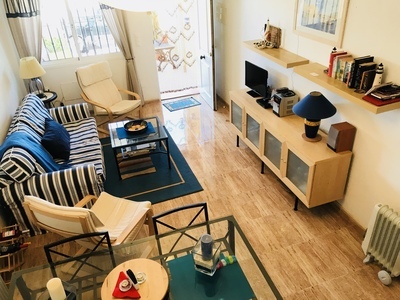 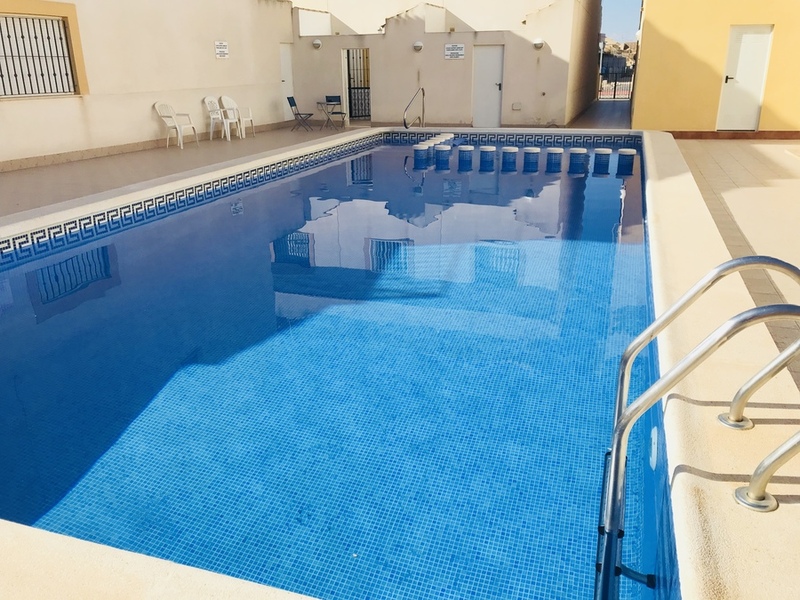 Within just 5mins by car, you can be in the centre of Los Alcazares, with its wide range of shops, bars, restaurants, and the beaches of the Mar Menor.